Trusted by customers worldwide OTCaccess provides comprehensive, Zero Trust physical access control solutions to secure your assets and facilities. For any person, for any site, for a specific function, can be authorized for a limited time & can get instant secure access to the sites without any keys with OTCaccess thanks to our Multi Factor Authentication technology. The user is verified, access point is identified, the time and the function are all validated for every single access. OTCaccess uses a unique offline Multi-Factor Authentication technology by managing all users & access points centrally and also online, real-time tracking, monitoring and management for each single access. With OTCaccess, your visitors, employees or subcontractors can conveniently and securely access to your places whenever you need. You are 100% in control of the operation and you can monitor it at all times. OTCaccess ensures secure access with one time codes generated per person, access point, time and function. In other words, users can access to an access point with only access credientials each and every time. 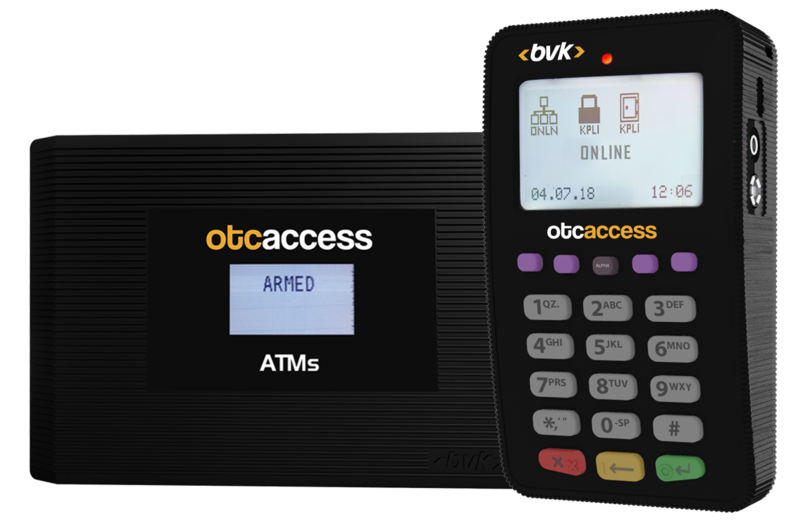 As our access control solution is based on offline authentication with online monitoring, OTCaccess offers you authentication with highest security without the necessity of a network connection. Alarm Panels: Improve operational efficiency and security of your alarm panels used at remote sites. OTCaccess alarm panel is an access control technology providing the global & central user management, disarming & arming of any alarm panel with One Time Codes (OTCs). Plus, you can optionally control the door access by simply adding a door lock to the system. Safes and Vaults : A comprehensive access control management for your safes and vaults. Contact us now to learn how to securely control access to your assets while improving your operational efficiency.